Mariano Llinás, La Flor, 2018, DCP, color and black and white, sound, 808 minutes. THE YEAR’S EDITION OF THE LOCARNO FESTIVAL—held every August along Lake Maggiore in southern Switzerland—was preceded by buzz of a different kind: the news that its artistic director, Carlo Chatrian, would be ending his five-year run to join the Berlinale in 2020. This announcement lent an air of anticipation and ambiguity to a festival that has long embraced the unpredictable in its championing of a conception of cinema as diverse and experimental as one is likely to find at a major festival. Where else would Bruno Dumont (who received a lifetime achievement award) share the eight-thousand-seat open-air Piazza Grande with a screening of The Equalizer 2, while cinemas across town screen an hour-long film by experimental animator Jodie Mack, episodes of Mariano Llinás’s fourteen-hour La Flor, and a 35-mm print of Leo McCarey’s goofy 1932 Eddie Cantor picture The Kid from Spain? Unpredictability and eclecticism might well be the defining traits of the career of McCarey, the subject of a typically ambitious retrospective at this year’s edition. McCarey followed a fascinating if unlikely trajectory: from gag-writing for dozens of Hal Roach comedies (featuring comedians Charley Chase and Laurel and Hardy, whose partnership he initiated with Putting Pants on Philip in 1927) to directing some of the funniest films of early sound-era Hollywood (Duck Soup in 1933, Ruggles of Red Gap in 1935, and The Awful Truth in 1937) to crafting odd morality tales inflected by his devout Catholicism and hysterical anticommunism (including The Bells of St. Mary’s in 1945 and My Son John in 1952). 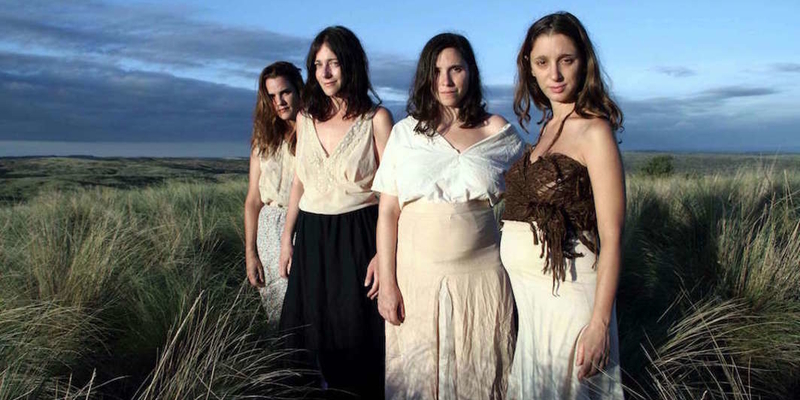 Llinás’s La Flor covers as much ground or more in its extravagant run time, and it was undoubtedly the talk of the festival, even for those who had no time to see it. I was only able to catch 64 percent of it, but even in that stretch, the film hopscotched myriad narrative tones, cinematic styles, and movie genres: B-movie schlock, telenovela, ’70s spy thriller, essay film, Northern, apocalyptic sci-fi, folk horror. Made over ten years, the film places its four principal stars—Elisa Carricajo, Valeria Correa, Pilar Gamboa, and Laura Paredes—in a dizzying number of plots that become increasingly metafictional as the film evolves. By the final section, we find Llinás self-parodying the chaotic nature of the film’s production and burlesquing his own persona as its auteur. The Argentine literary labyrinths of Jorge Luis Borges and Julio Cortázar are of course the obvious points of reference, but Llinás has also cited Chilean novelist Roberto Bolaño, whose winding passages seem to go nowhere until they suddenly, cosmically click. But does it justify the length? To be sure—as in Bolaño—the film feels protracted in places but elsewhere accelerates to cram in narrative information. Yet La Flor is seldom less than amusing and often more than thrilling, and as with many other Very Long Movies—such as Peter Watkins’s The Journey (fourteen and a half hours), Jacques Rivette’s Out 1 (nearly thirteen), and Béla Tarr’s Sátántangó (a lean seven and a half)—part of the experience is to live with the film over its duration and watch it continually reinvent itself. Jodie Mack, The Grand Bizarre, 2018, DCP, color, sound, 60 minutes. At the other end of maximalism, The Grand Bizarre is Mack’s manic, globe-trotting feature debut. Made up of tens of thousands of individually shot frames filmed in a dozen countries, it extends some of Mack’s recent shorts—animations of vibrant geometric textiles, busted electronics, and marbled endpapers—into a dizzyingly abstract, fiercely analog worldwide symphony of ragged geometrics. Complete with a funky musique concrète soundtrack of ersatz global dance-pop made by the artist herself—from insect-chirp trap beats to 8-bit ring-tone dancehall—The Grand Bizarre is a pointillist micromontage that finds psychedelic codes and patterns recessed in the unlikeliest of places: shipping containers, tramp stamps, maps, and alphabet books. 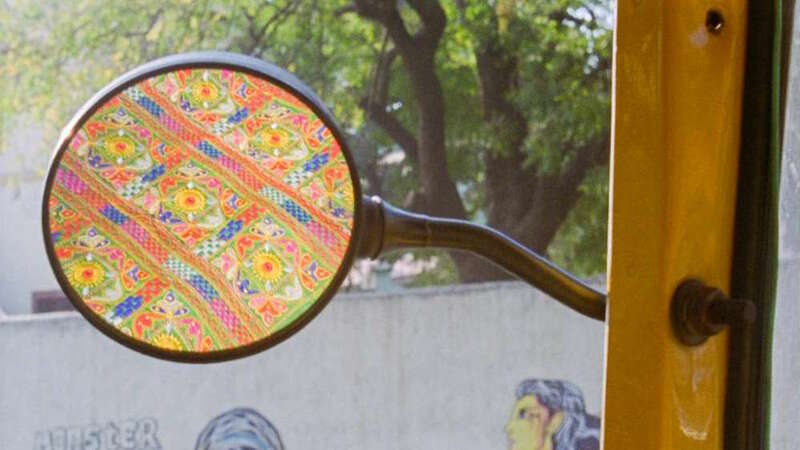 But the main stars are the textiles, dozens of which Mack situates in urban and rural settings in a gorgeous cascade of near-Paradjanovian tableaux. For Mack, these assorted artifacts and bric-a-brac are the things that make up the world. Indeed, a number of films on the festival’s slate hold the same belief, contemplating the ephemerality of place in granular detail. One of the festival’s most curiously compelling films was Rugilė Barzdžiukaitė’s Acid Forest, which centers around a corner of an ancient forest in Lithuania that cormorants have inhabited and befouled with their acidic feces. Various visitors, tourists, and self-appointed experts—seemingly from every part of the world, and always filmed from a bird’s-eye perspective—opine about the relative horror or beauty of this kind of avian ecological destruction, but one thing is clear: Nature’s sense of environmental mutation is perilously misaligned with our own. Yeo Siew Hua, A Land Imagined, 2018, DCP, color, sound, 95 minutes. The mutability of territory is embedded in the very title of Yeo Siew Hua’s A Land Imagined, winner of the festival’s top prize, the Golden Leopard, which was awarded by an international competition jury led by Jia Zhangke. The film takes on the issues of land reclamation and migrant labor in Singapore via an oneiric blend of detective-genre convolutions and male melodrama intimacies. 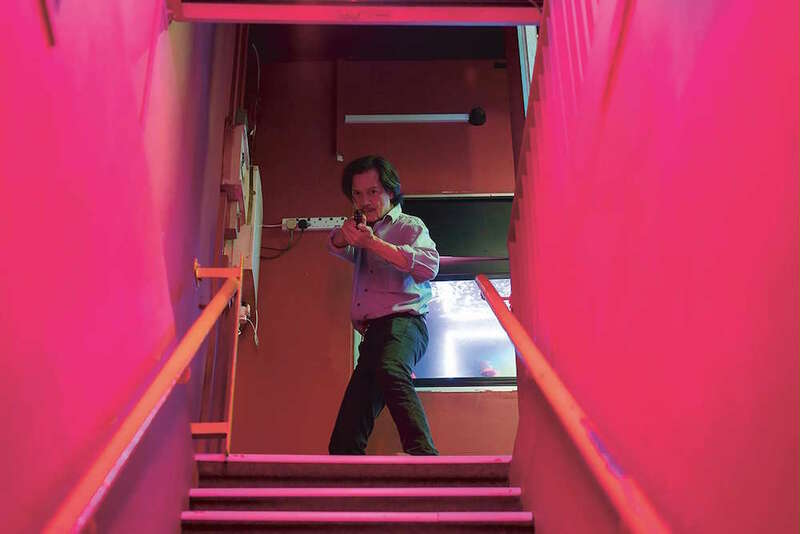 Cinematographer Hideho Urata lends the film’s night scenes the lurid neon-noir aesthetics of Miami Vice, and editor (and a great filmmaker in his own right) Daniel Hui delicately maintains the film’s balance between its serpentine plot line and understated political commentary. The blurring of fictive and material spaces arose in the festival’s shorts programs. Laura Huertas Millán’s El Laberinto—winner of the Best Direction Prize in the festival’s “Pardi di domani” (Leopards of Tomorrow) section—concerns Evaristo Porras, a leader of the Amazon cartel who meticulously re-created the mansion from the 1980s American soap Dynasty, deep in the Colombian Amazon. Huertas Millán intercuts 16-mm footage of the mansion’s ruins with mysterious fragments sourced from the TV show before drifting off into a disorienting spoken narrative of a drug-induced encounter with Death. Taking a strikingly different approach, Spanish filmmaker Natalia Marín’s Julio Iglesias’s House addresses the re-creations of the titular mansion as exemplars of the “typical Spanish house” in exurban residential developments in China. The joke, of course, is that Iglesias’s pad is anything but typical or Spanish, but Marín wittily engages the subject through bizarre CG renderings of surface textures—abstractions of abstractions. The Seventy-First Locarno Film Festival took place between August 1 and August 11.